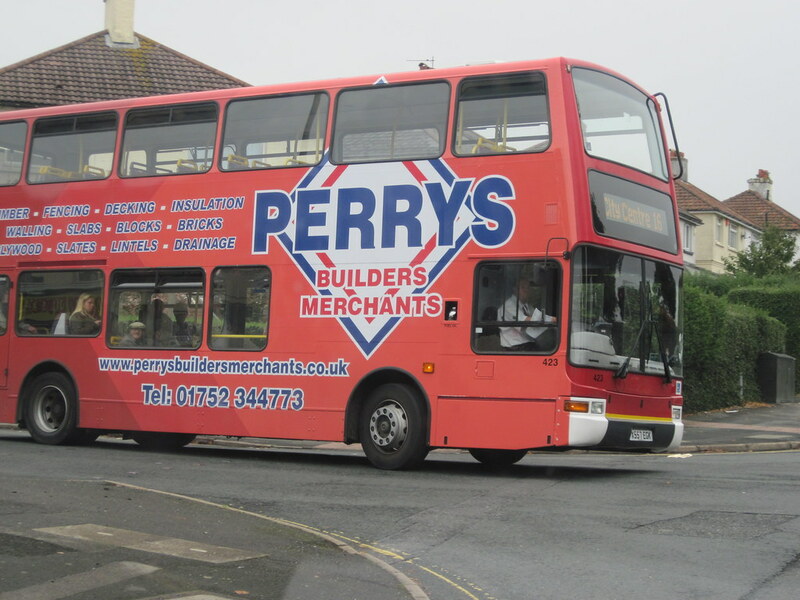 Thanks to John for sending me this one, the first clear view I have had of Citybus 423 which has acquired the adverting wrap for Perrys Builders Merchants a long time advertiser on Plymouth Citybus. It does have an unfinished appearance about it, and I am sure it wont be long before the front end gets the new dark red treatment. This bus replaces Dennis Dart 127 which has carried this all over wrap since at least June 2006 which is when I first caught it on camera. It carried this livery right till the end and is still sitting at Milehouse I believe. In my opinion this sort of advertising is more suited to a double decker than a single decker. There is sufficient room for the logotype and advertising message to be displayed, without the need to cover the windows. When the windows get covered it makes the bus interior so gloomy and difficult to see out of, especially on dull days and at night. So well done to City Bus for keeping the windows clear. 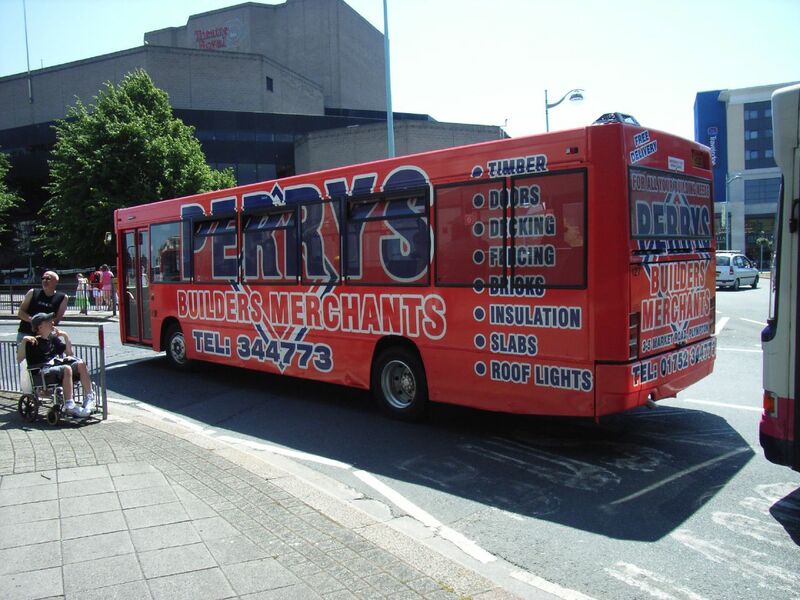 Following feedback from customers and staff Citybus will not accept any more advertising wraps where the windows are covered. when the new livery was announced i thought, ooh thats handy almost the same dark red as the london buses,and i was right apart from the advert i guess this bus has the old london livery underneath! it looks tatty not having the front painted in fleet livery! they did it on bus 29, why not 423? and the heating in the saloon is stuck on! like travelling on a mbile sauna!! Heater Stuck on Upstairs... 423 17:30 29 Service Today, then 34 Back.